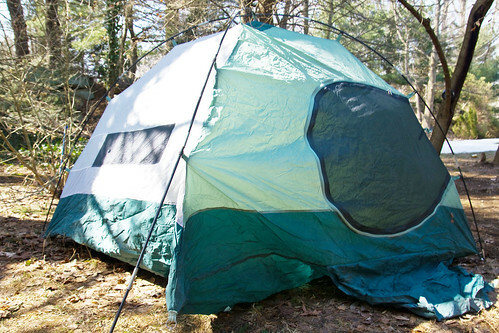 Camp in these nearby sites to explore the outdoors in an inexpensive way. Green grass, blue lakes and s’mores roasting over a fire are the essence of camping. As the snow fades and warm weather picks up, there are a few student-friendly campsites ready to welcome your winter-weathered body. Upstate New York, New Jersey and Delaware host a variety of campgrounds equipped with pools, hiking expeditions, fishing, hayrides and other activities depending on the campsite. Some campgrounds are close to popular city attractions, such as Delaware and New Jersey, while upstate New York campsites are typically more secluded but offer different off-site attractions. These campgrounds, like Delaware’s Tall Pines, are set for a weekend of relaxation and a break away from the typical city stressors we are accustomed to. Tall Pines is also near Lewes and Rehoboth beaches, theaters and the boardwalk, in addition to typical camping activities, such as fishing. Holly Acres, located in Egg Harbor City, N.J., is near Atlantic City, providing access to the different malls located there. This weekend trip can also become a shopping extravaganza. Tall Pines, Holly Acres and upstate New York’s Ascalona and Adirondacks provide cabin lodging and the option to pitch your own tent. Compared to New Jersey and Delaware’s campgrounds, upstate New York’s campgrounds are typically cheaper if split among the average group of college student budgets. To get more for your dollar, be sure to ask about group rates when making reservations. Although camping is considered a traditional family vacation, this is a great setting for college students to get out of the school atmosphere and wind down. Even though camping is done in the woods, most campsites provide WiFi and include renovated bathrooms and cable television depending on the package and campsite you choose. Campgrounds generally open around April 1 or in the warmer springtime weather.